It all started with my grandma Bertha. 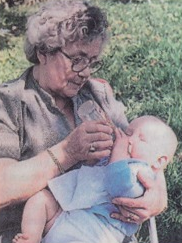 Between 1946-1948, when she was in her twenties, she adopted the grave of one of her liberators. The Netherlands American Cemetery at Margraten was still in its old shape and on a little card it told her U-5-110, S/Sgt Benjamin S. Hynoski. She always told her children, including my mother, that she did it to do something 'small' back to their liberators. She ocassionaly went to see his grave but with the years he was 'forgotten'. Some years after the death of my grandma, i think around 2001, i asked my mother about 'the soldier' she once told us about. It took some days for my mother to remember but she finally came up with the name Hynoski. With the intention to re-adopt his grave i went to Margraten. There i was told that the adoption of the grave was still registered to Bertha Claassens, better known to me as Grandma Bertha. I took over the adoption and started to look for the man behind the gravestone. Who was S/Sgt Benjamin Hynoski? I wanted to know more about Ben and his unit. As someone who was interested in World War 2 I had some knowledge about infantry divisions, but i had never heard of the 83rd Infantry Division. From Ben's Individual Deceased Personnel File (IDPF) I retrieved that he was killed while serving in E/331st near the Erft Canal in Germany. Using the Thunderbolt Message Board of Dave Curry i posted a message and got in contact with Tom. His father in law, PFC Frank DeCarolis, was a runner for 2nd Platoon, E Company, 331st Infantry Regiment on the 2nd of March 1944. 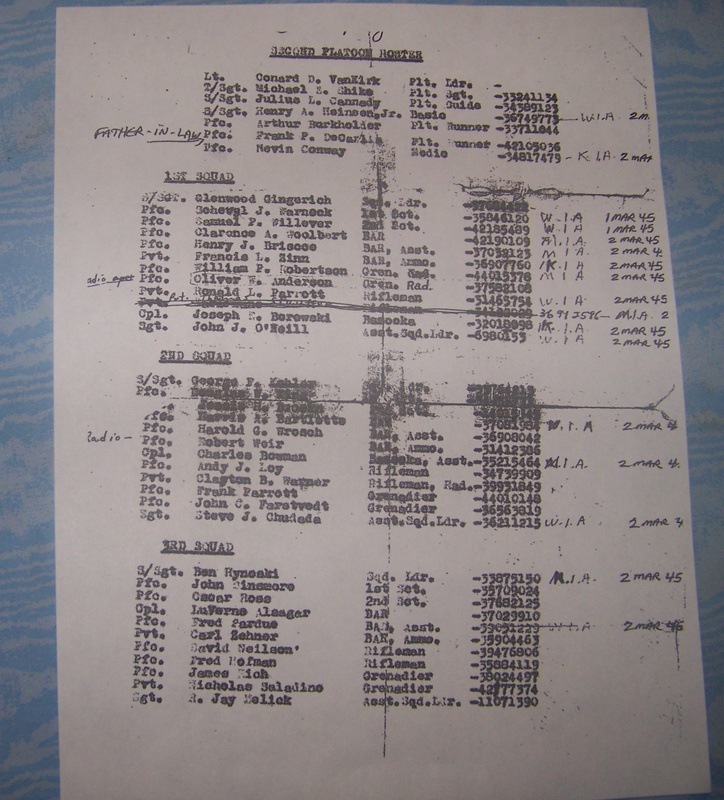 Tom found in his posession, by some miracle, a duty roster of 2nd Plt E/331 from the 2nd of March 1944, listing S/Sgt Ben as squad leader for 3rd Squad. With the After Action reports and the book 'We Saw It Through' i managed to find the location at which the 2nd Battalion, 331st resided on the 2nd of March 1944. The After Action Reports proved to be very valuable and i started to see the importance of these files to be available to the general public. As a kid who grew up with the digital age I knew that sending around an already deceased medium (CDROMs) would not help spreading the documents very fast so i offered to help out by putting the documents online. That way everyone with interest in the 83rd and its outfits could find the documents online and browse them for their own use. I contacted Dave and offered to setup a website and host the documents that Dave scanned to digital files. I registered the domain 83rdinfdivdocs.org and setup a small website. Dave sent me a CDROM with the documents of the 329th and November 30, 2008 an announcement was made to the Google Group that the documents were online. We started out with the AARs for the infantry regiments and by the end of 2008 we had all the AARs for the 329th, 330th and about half for the 331st online. This success encouraged me to encourage Dave and others to scan in the documents that are still out there. This resulted in more After Action Reports and other documents such as Operation Reports, Unit Journals and maps to be added to the website. Personal accounts, such as the ones from Capt. John. D. Raikos and the paper `Sharpe's Battalion in World War II` from Lt. Col. Sharpe have proven to be very valuable documents. All these documents are important to next-of-kin, researchers and other people who are interested in those times. With the growth of peoples presence online many people have donated documents in their own collection such as Newspapers, Maps and Photo albums. Ten years later, in 2018, we also have morning reports that list many of the men that served in the 83rd Infantry Division in World War 2. In 2008 I got in contact with Ben's only daughter Conny, who was born when he was already in Europe, and i visited her in Pennsylvania. She did not have any knowledge on her dad and it was a blessing to tell her about her father. 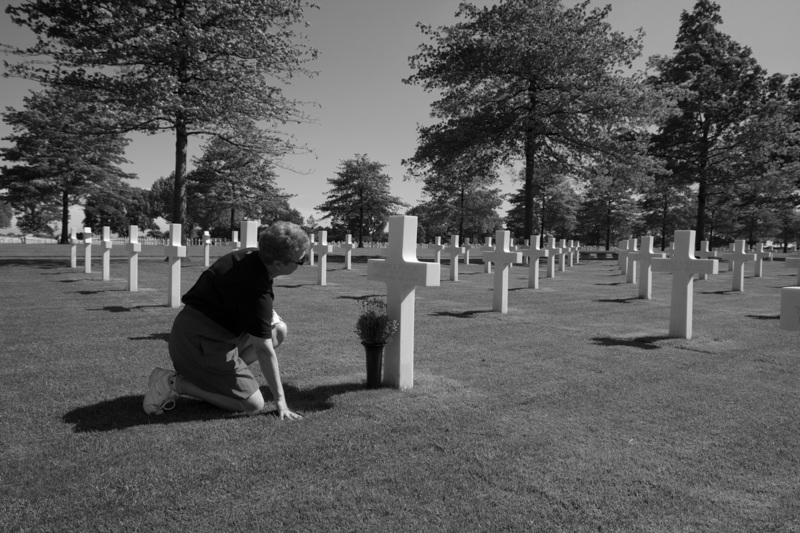 In 2010 she came over to The Netherlands to visit her dad's grave for the first time. Words cannot describe that moment. This website serves as a starting point for many people who want to know or research anything on the subject of the 83rd Infantry Division during World War 2. It is also a dedication to the men of the 83rd that gave their future for our freedom so that they may never be forgotten. Everyone who has documents, whether they are reports, personal diaries, stories or pictures and is willing to share them to contact me at . Tips and or remarks can also be sent there.